Spark MicroGrants Blog: New MicroGrants in Uganda! In the last week of June Spark MicroGrants kicked off a partnership with Educate! an organization based in Kampala, Uganda promoting social entrepreneurship and leadership. The Educate! program has engaged 325 Ugandan high school students in a compelling course on social entrepreneurship. After the course a number of the exceptional alumni start small community-based organizations in their home villages – but it’s hard to start a CBO with no funding! We just held a training with four of their alumni so that they can start facilitating MicroGrants for their home communities which suffer from numerous dangerous problems, including malnutrition, lack of education, poor media access, access to clean water and poverty. 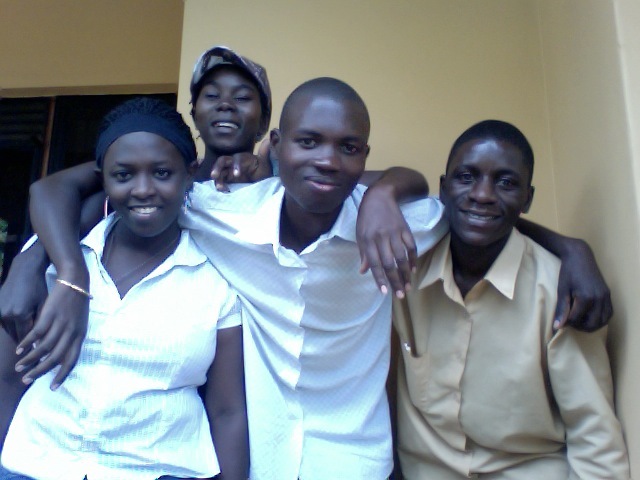 The recent high school graduates, Agnes, Kenneth, Deo and Jennifer come from four sides of Uganda. Agnes (in the back of the photo) is from Dokoro district, bordering Gulu in northern Uganda. She has already started a mushroom growing project to generate income and increased nutrition in her area. She’s worked with a number of community members to get them involved in the mushroom project but she says it is often a struggle to get people to work well. Kenneth, (middle, front of the photo) from Mbale in the eastern region, has started his own CBO called the Millennium Development Umbrella to help his region meet the Millennium Development Goals. Jennifer (front, left) is from the southern district of Bushenyi. She has started working with women on craft based income generating projects and is going to be working with others in Bushenyi to facilitate a MicroGrant for the larger community. Deo (front, right) lives in Hoima, in the western region of Uganda. Deo has started a number of projects in his area despite his young age. He’s helped start an orphanage, animal rearing project, tree planting campaign and a music and arts program – his mom helps compose the music! He’s already held the preliminary meetings for the MicroGrant process and has mentioned that people have discussed problems including access to communication systems. They are in the midst of developing their proposals. Agnes, Kenneth and Jennifer have also started to organize their communities around discussing the MicroGrant process and possible project ideas. We’re excited to see these four get off the ground!